It’s not uncommon, from time to time, for us to wake up with a sore or stiff neck. For some though, this can be a near daily occurrence. Starting your day in pain can be rough, and may even be detrimental to your productivity throughout the rest of the day! If you find yourself waking up more often than not with a sore or stiff neck, it’s time to come up with a solution! There are many ways you can adjust either your sleep habits or your habits throughout the day to minimize or even cure the pain you’ve been feeling. To help you realize true relief, we’ve brought together some great solutions for ridding yourself of a sore or stiff neck upon waking but first it is helpful to get an idea of what may be causing it to begin with. Continue reading to learn more! 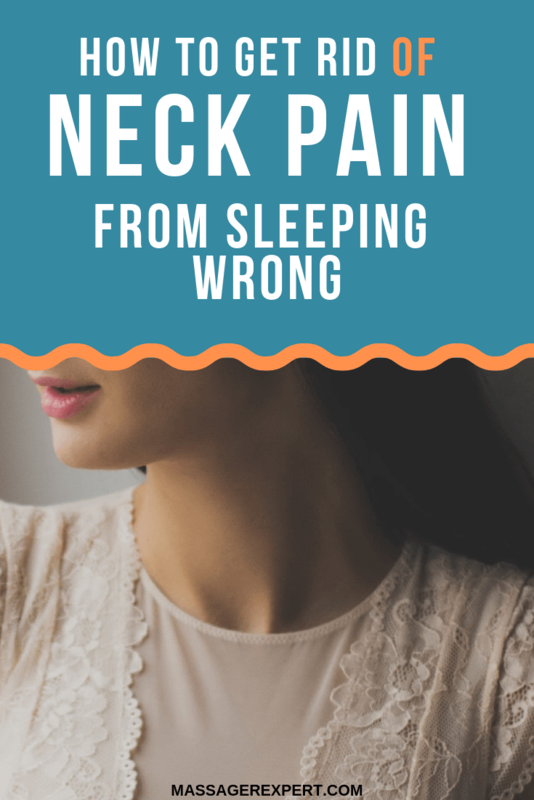 If you’ve ever woken up in the morning with a sore or aching neck, you’ve likely come to the conclusion that you somehow slept on your neck wrong. Although sleeping on your neck wrong would, in fact, likely cause neck pain, this might not be the reason behind your particular sore neck! More commonly, people wake up with a sore neck due to a sleep position that puts strain on their neck, not because they were sleeping in an awkward position with their neck twisted. This awkward neck positioning can be caused by either too many pillows, too few, or a pillow that is too firm. Pain in the muscles, tendons, and ligaments of the neck, as well as overall stiffness of the neck, may occur as a result of neck strain due to an awkward sleep position, which can take up to 3 days to subside! This strain is not considered a major injury, though it can be nagging enough to reduce the quality of your life, which leads many to seek out ways in which to minimize the pain or avoid it outright. One of the most obvious and basic ways you can rid yourself of nagging neck pain is to try changing your sleep position. In order to avoid undue strain on your neck, consider sleeping either on your side or on your back. Both of these sleep positions will aid in putting your neck and head in the proper position. No matter whether you decide to switch to laying on your side, or your back, you’ll want to make sure the pillows you are using are not putting your neck and head in an awkward position. Avoid sleeping on your stomach if you can, as the sleep position will put your neck and head into an unnatural position which strains your neck and will likely result in neck pain upon waking. If stopping yourself from sleeping on your stomach is proving difficult, consider investing in a body pillow for you to hold onto while you sleep. These pillows can help keep you from rolling over during the night while also imitating the feeling of sleeping on your stomach. If you find yourself waking up every morning with a stiff neck then taking some time out of your day to do some morning stretching can help to minimize the pain felt. Consider Hatha yoga as well, as it can help to increase the mobility of your joints and muscles, making you feel much more relaxed. In a recent study looked at yoga practiced at home to see if it offered any beneficial effects on neck pain. The study found that the participants who regularly did yoga at home felt much less pain in their necks compared to those who did alternative forms of exercise. 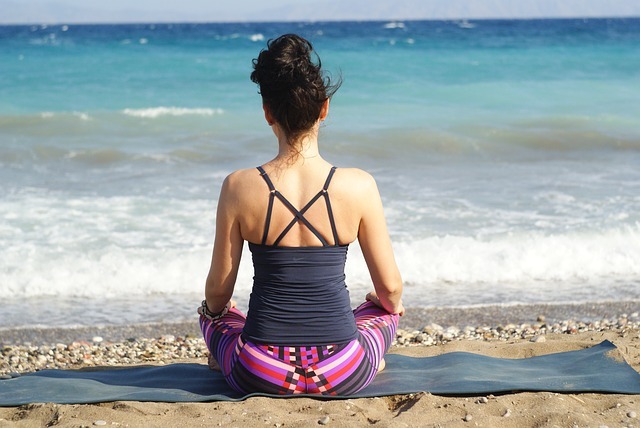 Yoga appeared to help increase the functionality of the muscles in the participant’s necks, which increased the physiological measures of their neck pain. Try to keep yourself hydrated throughout the day if you find yourself waking up in the morning with a stiff or sore neck. Water is required by the discs between the vertebrae in your spine. These disks help to maintain your spinal alignment and height, which can take pressure off your neck and back! With each individual spinal disc being comprised of roughly 80 percent water upon birth, and the ratio of water decreasing as we age, ensuring adequate hydration can combat this issue. By keeping up with healthy water intake every day, the continued degeneration of the cervical discs of the spine can be slowed, or halted, which may help in reducing the pain you feel in your neck upon waking. A great way to keep yourself drinking is to carry a bottle of water with you all day long in order to be reminded to take a sip from time to time. Try to combine hydration with your other daily habits throughout the day, like waking up, showering, or brushing your teeth, so that maintaining adequate hydration becomes a habit. If you’re waking up in the morning with pain or stiffness in your neck then be sure you’re avoiding any habits throughout your day that can act to exacerbate the issue is in your best interest! One such was you can accomplish this task is to avoid holding onto your phone with the side of your head against your shoulder. This unnatural neck positioning puts strain on your spine and neck which can further irritate your neck and cause more pain. If you find yourself staring down at your phone a lot throughout the day, with your neck craned or bent, then this can be further irritating your strained neck. Some ways to help minimize these issues is to use a hands-free headset or Bluetooth device when making phone calls, holding the phone up at eye level when reading texts or browsing the web, and taking a break altogether from using your phone from time to time. To achieve these benefits, try jumping in a pool with the water up to your neck and just float around a bit. A heated pool adds further benefit as the warm temperature can aid in providing pain relief. Acupuncture may be a great means of getting relief for your sore neck. Many people swear by acupuncture’s pain relieving affects, while others say they get nothing from it. Either way, giving acupuncture a try is worth a shot. It’s important to seek out a practitioner that is skilled in this form of therapy as not all acupuncturists are known for giving good results! Another way to help minimize your neck pain as a result of sleep is to be sure you’re maintaining better posture throughout your waking hours, when you have more control. Consider investing in a chair that has neck support. A chair with a headrest can aid in keeping your spine in the proper neutral position. It’s also good practice to use any headrest that might be available in your car or a recliner so that your neck is always being supported properly. It’s quite common for those that wake up with pain in their necks to also have tingling and numbness in the hands, shoulders, and head as well. Oftentimes headaches may also occur throughout the day as well. If you find yourself with neck pain in combination with any other above, consider using an ice pack, but not in the way you’d expect. Many people recommend placing an ice pack between their fingers or eyebrows, or on the bones behind their ears in order to realize pain relief in their neck. A great way to avoid neck strain and the pain the often results upon waking in the morning is to increase your intake of magnesium throughout the day. By increasing your intake of this important nutrient, your muscles will be more apt to relaxing, which results in muscle sprains and strain being less likely to occur. You’ll find magnesium in abundance in a variety of vegetables, fruits, soy products, whole grains, and beans. It’s good practice to read over the nutrition labels of products you’re looking to buy in order to see how much of your daily recommended value of magnesium is provided. Another great way to increase your magnesium intake is from an Epsom salt bath. You may also apply an oil infused with magnesium, in order to gain its pain reliving effects. Sleep is supposed to be restorative, so when you find yourself waking up every morning with back or neck pain, it can be a real drag. Starting your morning in pain is a recipe for a bad day! Luckily for you though, there are a lot of things that you can do in order to stop neck pain from occurring as a result of sleeping wrong. Whether it be by adjusting your sleep posture, of maintaining better habits throughout your waking hours, the means are there to provide you with much-needed relief!